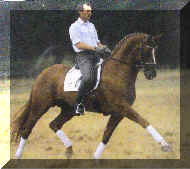 In the integrated breed value estimation of the FN, Weltmeyer’s son Worldly was evaluated highly. 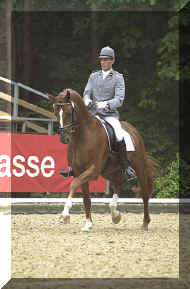 In his dressage evaluation he had two points less than Fürst Heinrich, 164. His breed value is already pretty well secured at 85 %. 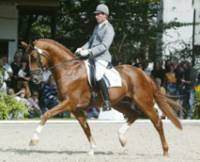 Fourteen Hanoverian descendants – daughters who completed the mare performance test - had a great impact on this result. Twelve offspring were presented at auction selection sites. 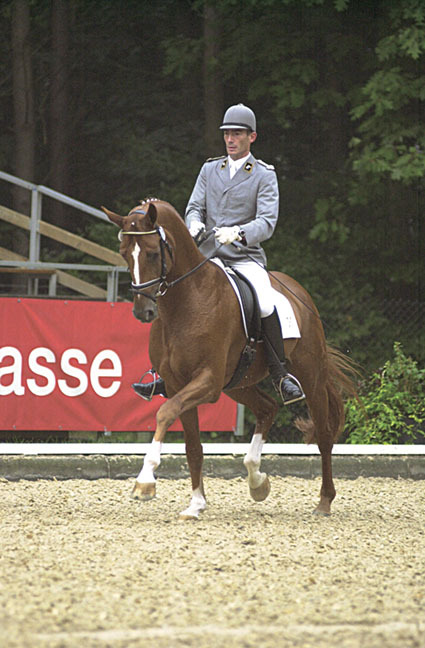 In the Hanoverian breed value estimation Worldly places in the very top group with a score of 147. In addition, multiple sons of his sons have already been performance tested. He gives his ride ability as well as his willingness to perform to his offspring. Weltmeyer himself is a legend and keeps living in great stallions like Worldly. 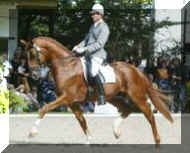 He is one of the most known Dressage sires in the world. 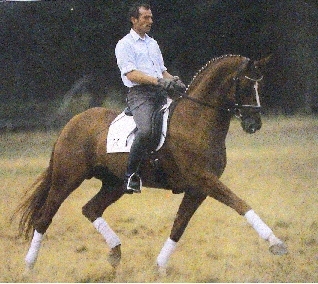 The grand sire on the mother side is Brentano II one of the most successful sons of Bolero.